Once so scorned it was mostly chopped up for pot bait, gurnard is a terrific sustainable alternative that helps take pressure off the usual varieties, says Tom Hunt. Ten years ago, few people other than fishermen knew about gurnard. I remember discovering this firm-fleshed, clean-flavoured fish through Rick Stein’s French Odyssey, the 2005 TV series in which he took a gastronomic journey from Padstow to Bordeaux, then on to Marseille, eating his way along the coast and canals of southern France. I remember him describing gurnard with such passion that I had to cook it myself. Gurnard is difficult to fillet because of its bony structure, so save yourself the trouble and cook it whole. That way, the bone also imparts flavour to the flesh and helps keep its succulent texture; when ready, the fillets can then be teased from the frame. 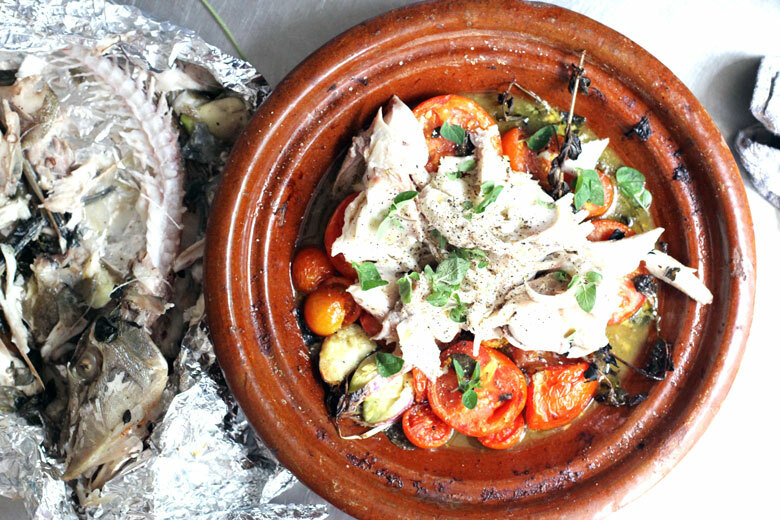 A whole gurnard roasts well, but for an even more aromatic flavour try wrapping it in parchment with herbs, “en papillote” style. 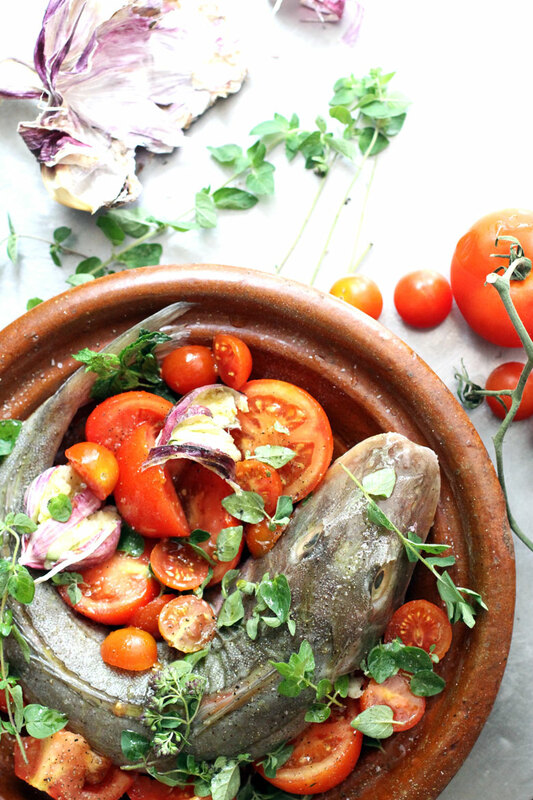 Gurnard is also a classic ingredient in bouillabaisse, the quintessential Marseille soup, which has origins dating back to 600BC. 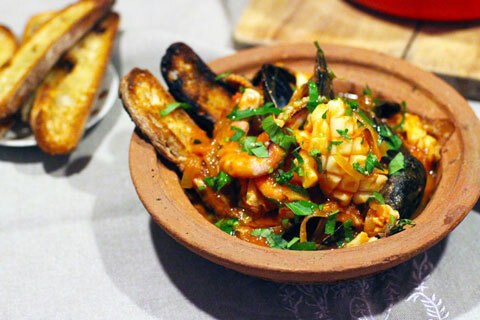 Bouillabaisse was traditionally made with the hard-to-sell bony varieties left over from the daily market, such as the spiny scorpion and weaver fish and conger eel, as well as the unloved gurnard. To make a quick and simple bouillabaisse, sauté an onion, leek and some garlic until soft, then add 500g of tomatoes and bring to a simmer. Add 1.5 litres of water and a whole cleaned gurnard, along with 500g of any other cheap white fish from the market. Simmer for 35 minutes, then press the soup through a sieve and keep any bits of meat you can. Return the strained soup to a low heat with any leftover fish. Serve as is or, to make a really special meal, simmer a variety of whole, cleaned fresh fish in the soup and serve them on a platter alongside, to be served at the table. Gurnard belongs to the Trigliadae family, a group of fish also known as sea robins, which have the unusual ability to grunt and growl using muscles associated with their swim bladder: it’s thought they use the grunts to keep schools together during spawning. They also have long spiny “fingers” or “legs” that reach out from their pectoral fins, containing sensory organs that allow them to search for prey hiding in the sand. The gurnard you’re most likely to find at a fishmonger is the red (Aspitrigla cuculus), and this is what most people mean when they refer to gurnard generically. But you might also find the yellow or tub (Triglia or Chelidonichthys lucerna), or the grey (Eutrigla gurnardus) gurnard. Because of its low market value, gurnard hasn’t traditionally been a commercially targeted fish: it would only be taken as by-catch by trawlermen, who might well then discard it. Even if it was landed, it might not be sold, but be chopped up for pot bait instead. 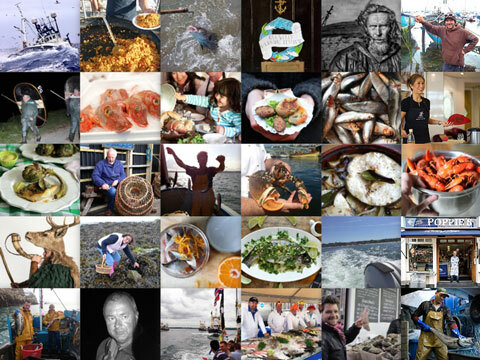 However, as various chefs since Rick Stein have sung its praises, it has become more popular and the price has crept up, leading to fears that it could suffer from overfishing – particularly since it’s a non-quota fish, which means that fishermen can land as much as they like. Fortunately that doesn’t seem to be an issue. Although the Marine Conservation Society cites a lack of research into stock levels, it still suggests that gurnard are abundant. They are also fast-growing fish that mature early at a large size, allowing them to reproduce effectively and making the yield of meat high, all of which boosts sustainability. Generally speaking, I believe that the more diversity in our diets the better, both for our health and to relieve pressure on the more popular species. 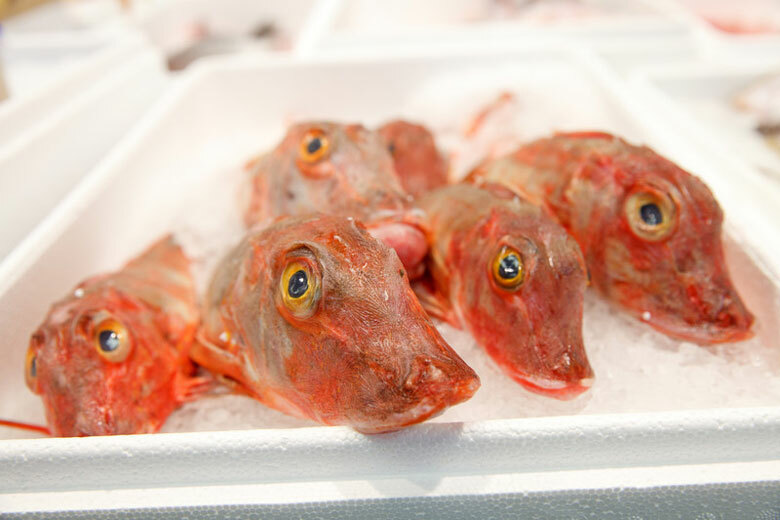 Although gurnard is now more widely eaten it is still not widely commercially targeted. So feel free to eat more of it; and if your fishmonger doesn’t have it, ask him to get it in. It makes a wonderful replacement to monkfish. Gurnard is a bony fish that is best cooked whole. 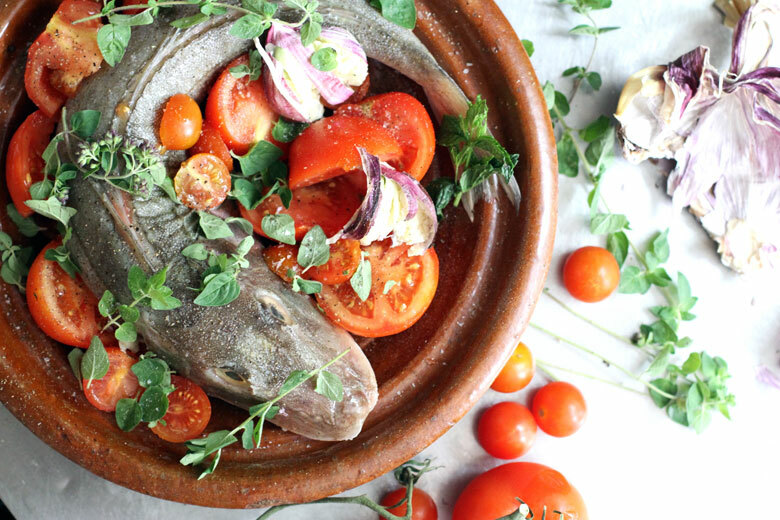 This recipe is as simple as it is delicious: by cooking the whole fish with the tomatoes it creates a marvellous fresh sauce. Preheat the oven to 200°C. 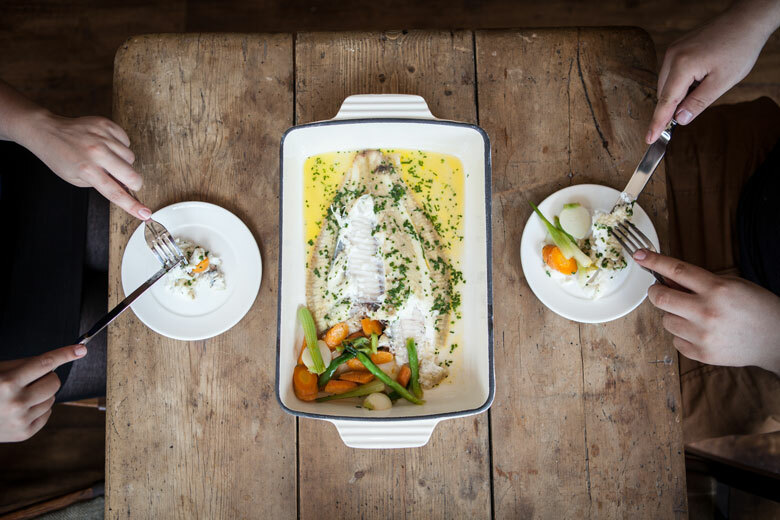 Place the gurnard in a roasting tray or earthenware dish. Cut the tomatoes into halves or quarters, depending on their size, and place them all around the fish. 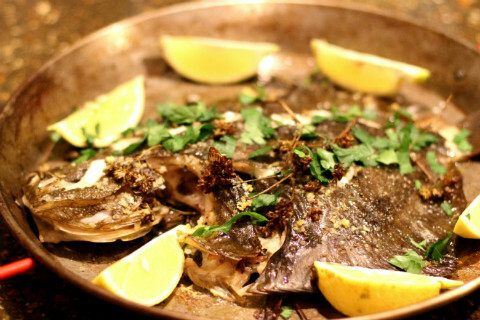 Put one sprig of thyme and clove of garlic inside the cavity of the fish. Scatter the rest on top of the fish and tomatoes. Season with salt and pepper and a drizzle of olive oil, then cover with foil. Put into the oven for 30-40 minutes, depending on the size of the fish. To test if the fish is cooked, prise the fillet away from the bone close to the head and check the flesh is opaque. Serve with bread or over pasta. Recommended minimum size: There is no minimum landing size as gurnard is a by-catch. But look for mature fish that are over 24cm, if possible. When to buy: Avoid during the spawning season, which is April to August. Tom Hunt is author of The Natural Cook: Eating the Seasons from Root to Fruit. 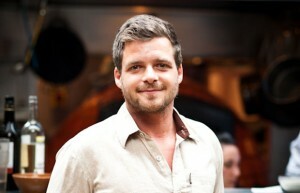 He founded the Forgotten Feast, a campaign working on projects throughout the UK, to revive our cooking heritage and help reduce food waste and Poco, a festival café and award-winning restaurant in Bristol. Click here to read his blog, Tom’s Feast. This stew is a stunning way to celebrate winter’s wealth of fresh seasonal fish in an easy-to-make one-pot wonder, says Tom Hunt. 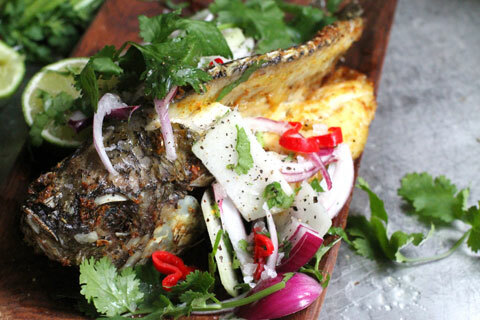 This is a super-tasty way to serve tilapia, says Tom Hunt: the spices add an explosive flavour, and the lime cuts through both, bringing the dish to zinging life. This dish matches turbot with the exquisite wild mushrooms that are around now. Roasted and brought to the table whole for sharing, it really makes a grand occasion.